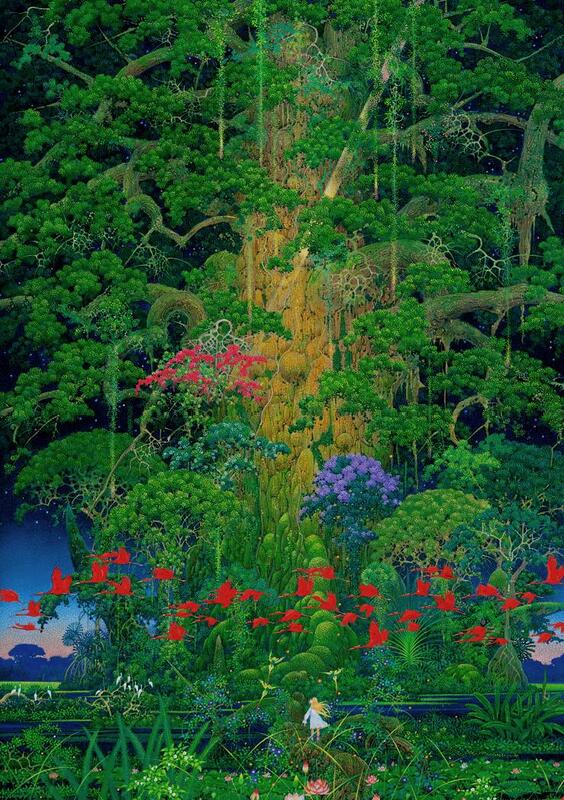 My main man Faalstar hooked me up with some information about the Android version of Secret of Mana. Until August 18th you can pick it up for 50% off on the Google Play market. I’ve been playing this app for a while on my phone, and I gotta say, it’s neat to play through and see the changes they’ve made to the graphics and writing. Give it a look if you’ve got a phone that can play it! 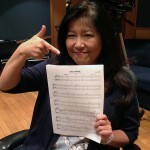 Square Enix has announced that Yoko Shimomura will be releasing a Legend of Mana arrangement album, Promise, on September, 30th 2015. You can see a little video about it with a jazzy bit of Domina’s music, here. 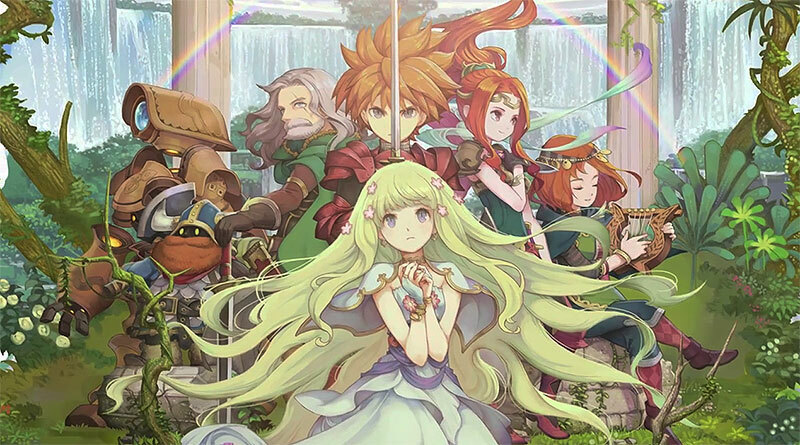 Square Enix filed for a trademark with the name Rise of Mana last week, suggesting that a new title in the Seiken Densetsu series could be in the works. Given the title, could it be, perhaps, a re-release of SD3? It doesn’t quite fit, but you’ll hear more about it here as we find out. Pray that it isn’t another social mobile game for Japan only. 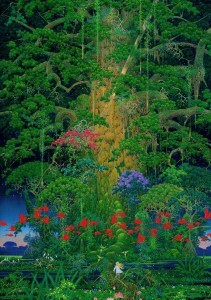 Isono was born in 1945 in Aichi Prefecture Japan. He graduated from Aichi University of Education 1968. 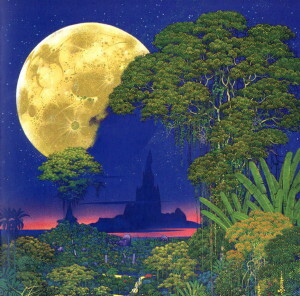 From 1970, He worked for a corporate design studio and he started his career as a free-lance illustrator. 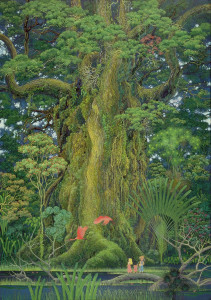 Isono’s work, with its main theme in nature, whether jungle, forest, or tropical, is filled with a serene atmosphere, with the strength and appeal of Nature’s wonder. 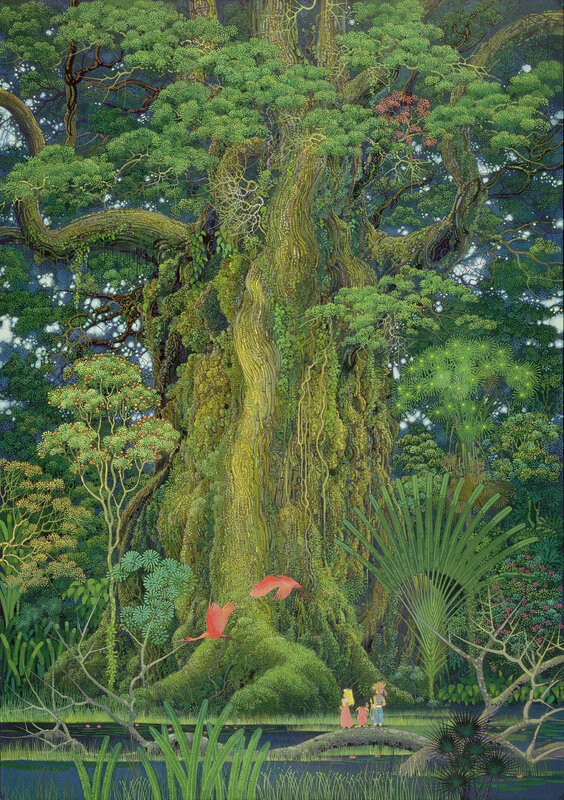 In 1991, he provided the main visual for Final Fantasy Adventure (Seiken Densetsu), and would continue providing illustrations for the series. 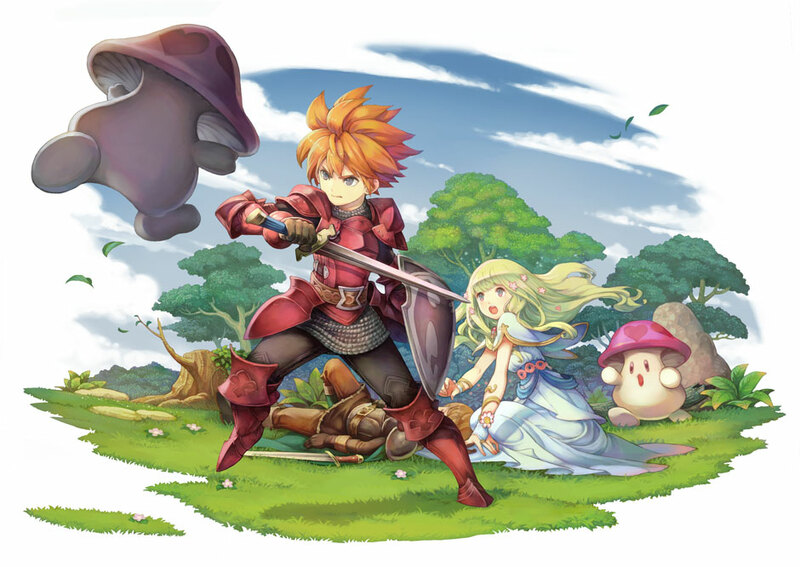 The main artwork from Secret of Mana, Seiken Densetsu 3 and Dawn of Mana, as well as work in Heroes of Mana, were all penned by him. He sadly passed away on the 28th of May due to heart failure. 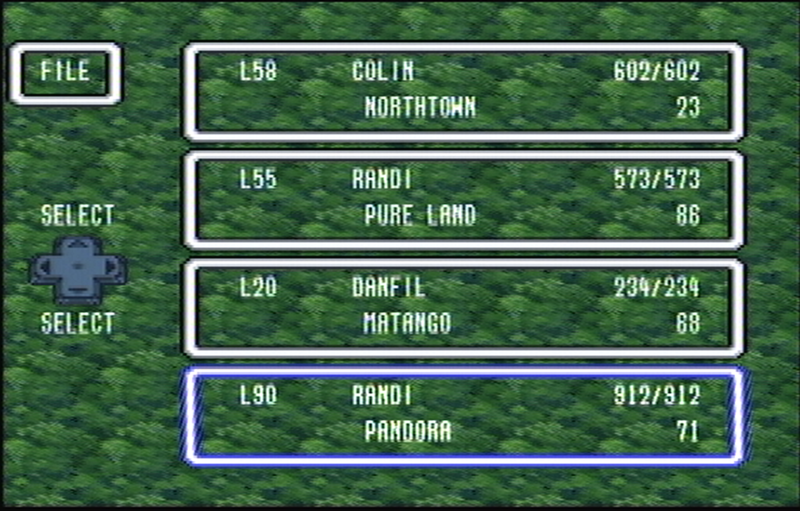 After a lot of cleaning contacts and power-cycling the SNES, managed to load up my copy of Secret of Mana for the first time in over a decade, and the save-games are still there. Even has the save-game started by the guy I bought it off second hand however many years ago it was. Comments Off on It still works! 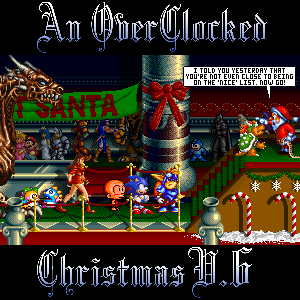 Happy very belated holidays everyone! I’d have posted this sooner, but the e-mail about it was lost to my terrifyingly disorganized inbox from last semester, but now it has surfaced, hooray! I’m placing all of my money on the main source being “Happenings of a Moonlit Night”. Joking aside, the track is a really relaxing almost somber sounding keyboardy track which really fits the mood of the weather outside my window right now. 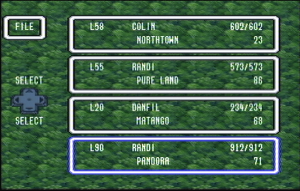 Also, see if you can pick out the three tracks involved. I can catch Wish and Fear of the Heavens, but the third is lost on me. I can only assume it is “Happenings of a Moonlit Night”. The forums have had a very unusual registration activity the last few days. Most of them were spammers. They only had one purpose: to spam the forum. So we have cleaned all those spam threads from the forums. We do not want these in our community, even it’s not active. All accounts who were registered after 15th November are all deleted. This means that all those who are legit users were also deleted. So if you are one of them you have to register again. I am sorry if your account got deleted.